Almost 40,000 unique visitors come to HomeRun Homes (www.Lease2Buy.com) each month...and they all visit us in order to Find a Home, Sell a Home, Find/Sell a Commercial Property, or to Find/Offer Home Services. With this large volume of targeted traffic, it’s no surprise why we have been in the top 3 rankings in the Major Search Engines for the past 6 years !! you when you market with HomeRun Homes. It all depends on "where" and "to whom" you want to target – our programs allow you to target potential customers at a particular mindset – and it permits you take a very granular approach. This is a golden opportunity for you to pitch to the right buyer, seller, or customer. 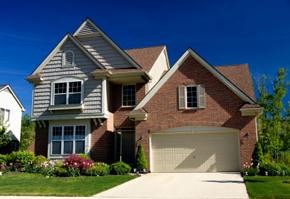 "I have been working with HomeRun Homes (www.lease2buy.com) for about three months now. My company places all of our homes on lease2buy.com and have been quite pleased with the responses that we have received from our ads. The staff has always gone out of their way to make sure everything is working just as it is supposed to, and I would highly recommend HomeRun Homes anyone looking for exposure of their lease2own property. Some of the best marketing dollars I have used to date." * Please Note: We are also available for Public Speaking appearances at conventions, meetings, or other venues. * Please Note: To place a standard Ad on our website, please use the Tabs on top of this page (Find a Home, Sell a Home, Sell Multiple Properties, Sell Commercial Property, and Offer a Home Service).